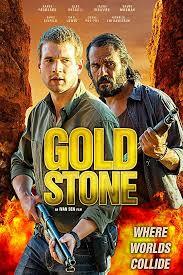 Ivan Sen’s stark but riveting little film about a mining company’s shenanigans at an outpost of a town in the Australian Outback is laden with tropes from several genres. There’s the degenerate lawman loner in from out of town to clean up a mess. There’s the lone town cop, conflicted between his ethics and leaving well enough alone. There’s the mayor on the take. There are the natives, whose land is being raped. But even with all the been there done that, this gem works. The land itself is a character, vast and foreboding. That’s what hold it all together and makes it work, cinematic clichés notwithstanding.